This listing expired on March 1, 2019. Please contact anthtwo@uvic.ca for any updated information. 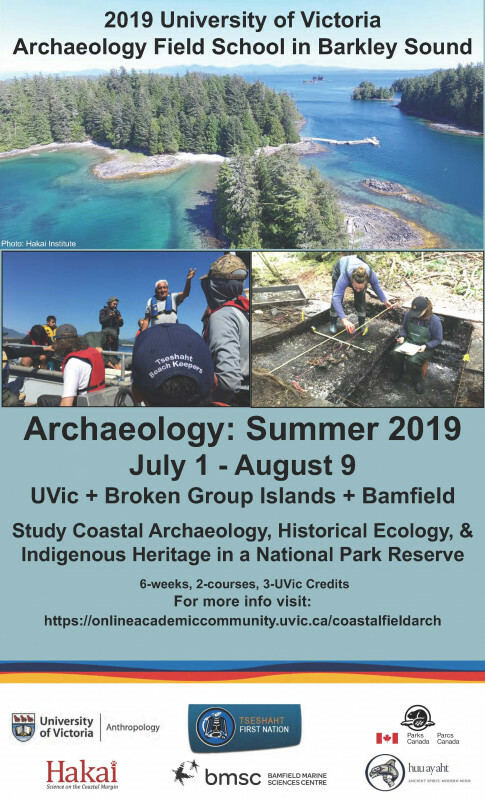 UVic Archaeology Field School in Barkley Sound is a six-week academic course and research effort run by the UVic Department of Anthropology, Tseshaht First Nation, Pacific Rim National Park Reserve, and the Bamfield Marine Sciences Centre. The field school is hosted in the lands and territories of two neighbouring Nuu-chah-nulth Nations, Tseshaht and Huu-ay-aht on southwestern Vancouver Island. 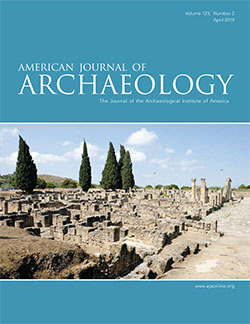 The first half of the field school (ANTH 343) is focused on excavation in Tseshaht territory in the Broken Group Islands in Pacific Rim National Park Reserve . The second half of the course is based out of the Bamfield Marine Science Centre in Huu-ay-aht territory. We are particularly grateful to the Tseshaht and Huu-ay-aht for welcoming us and supporting this work. We are also grateful to Parks Canada, the Bamfield Marine Sciences Centre, and the Hakai Institute for assistance. While we are in the Broken Group Islands (July 7-22) we will be camping on Nettle Island and working on Keith Island, travelling by boat each day between islands. While we are in Bamfield (July 22-Aug 11) we will be staying in dormatory type accommodations that have showers and electricity and internet. Students will eat at the awesome Bamfield cafeteria. Costs: In addition to your tuition and registration fees there are field school fees. - Bamfield portion: $1400 plus application fee ($50) - UVic Anthropology portion: $700 for UVic students and $900 for non-UVic students. See website foror tuition and other fees at UVIc.